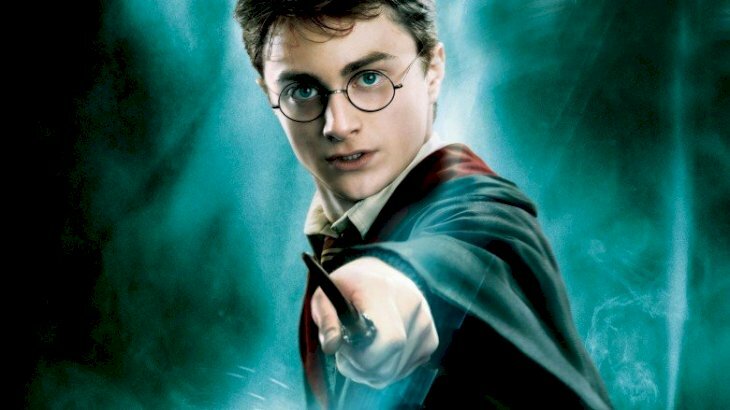 Harry Potter fans, prepare to get your reading glasses on for this long-awaited reveal. 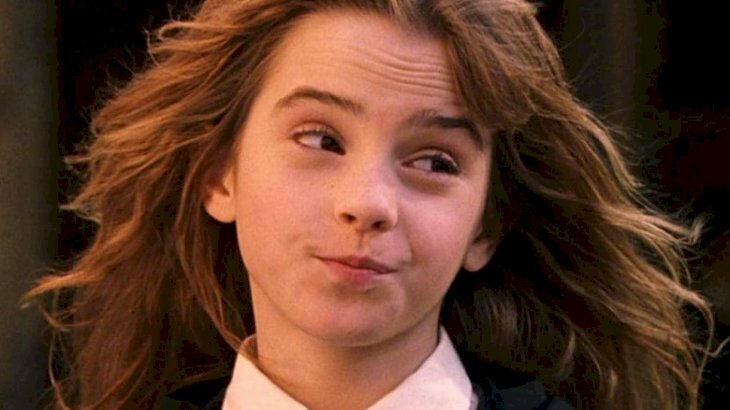 J.K. Rowling has finally confirmed a Hermione theory that we've all been waiting for! It's been 21 years since the author published the first entry into what would become the fiercely thriving Harry Potter book series, and the fans have devised some pretty far-out theories. There was the infamous one from 2004 that argued the freckle-faced Ron Weasley was actually Albus Dumbledore traveling back in time. Now, if only fans would pronounce Lord Voldemort's name the proper way. So, let's delve into this mysterious theory that we've been impatiently waiting for! There was the suggestion that Professor Minerva McGonagall wasn't the honest, thoughtful, and knowledgeable Head of Gryffindor everyone knew her as but was indeed a Death Eater! Imagine that! To top it off, the theory includes the possibility of her being "Voldemort's most devoted and trusted servant." Potter fans understand that Harry Potter books and films have no doubt been thoroughly read by everyone who really wishes they'd been given an acceptance letter to Hogwarts on their 11th birthday. But there are some details in the resulting movies that only die-hard Potterphiles could really pluck out. 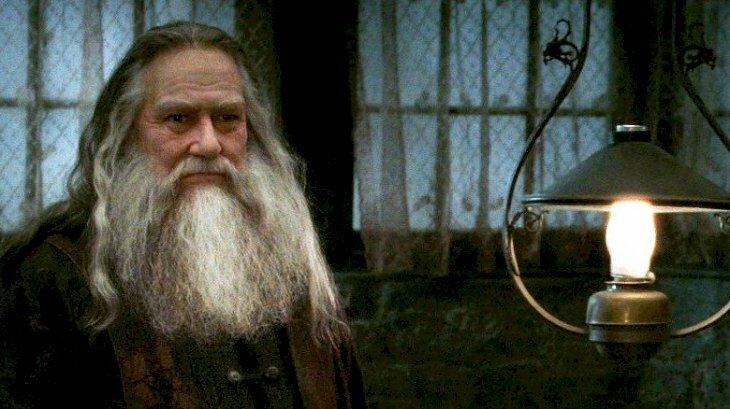 Here are some Harry Potter Easter eggs that only bona fide members of Dumbledore's Army would've caught in the books and films. There was even the Reddit-published theory that claimed Ginny Weasley made love potions in the sixth book, Harry Potter and the Half-Blood Prince, and used them to influence Harry's feelings of intense obsession for her. While Rowling hasn't been humble about approaching fan theories in the past, there's one she hasn't touched on until now, and it's one Harry Potter fans have long suspected to be true. Are you ready? 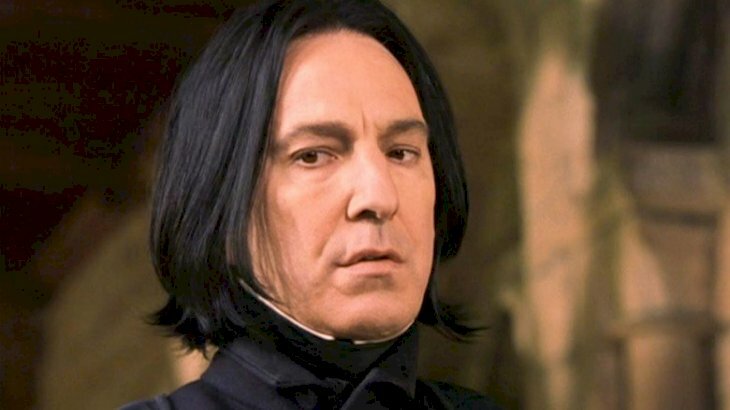 It took a full series for Harry Potter to figure out that Professor Snape wasn't actually out to get him and make his stay at Hogwarts a nightmare. If he was a star student of language like his friend Hermione, though, he might have been able to unlock the Half-Blood Prince's true intentions long before he got a screening of Snape's recollections through Dumbledore's Pensieve in the final chapter. In Harry Potter and the Sorcerer's Stone, Snape challenges Harry to answer "what would he get if he added powdered asphodel to an infusion of wormwood". 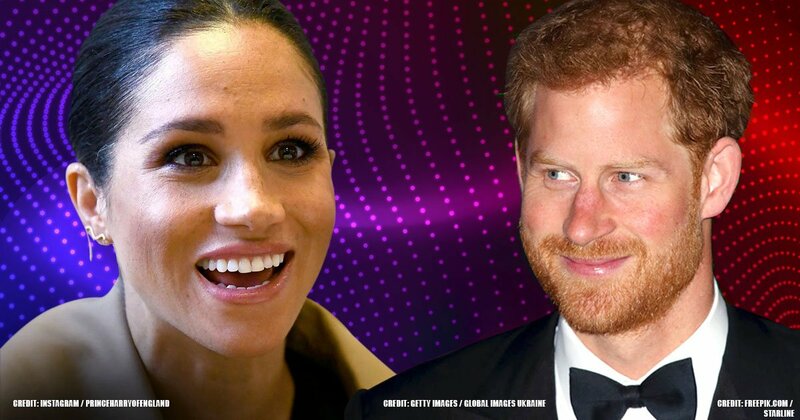 It seems like an ego-inflation check to Harry's abrupt star status as the big man on campus, born of resentment and disgust. But in hindsight, fans have found a little more importance to those words. Harry Potter's number on the Gryffindor Quidditch Team is seven, and it's no accident. He is the seventh of Voldemort's Horcruxes, after all, and there are seven books in the series. So the filmmakers went to meticulous efforts to include mythological numerology throughout the series, whether you regarded it or not. 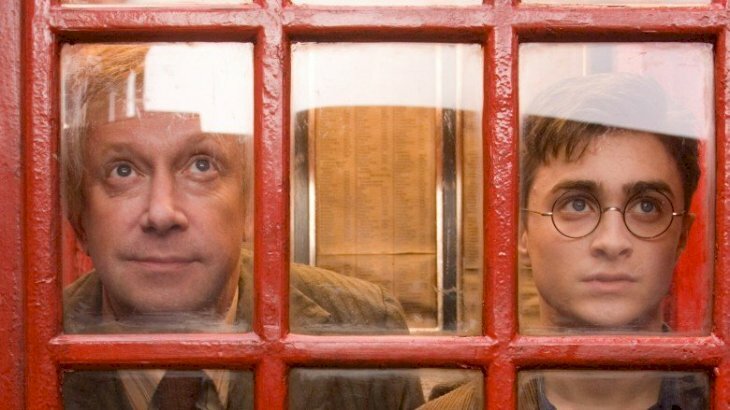 There are a ton of things that just so happened to add up to seven throughout the movies, like the headcount on snakes that line the door to the Chamber of Secrets, the number of members on each Quidditch team, the number of children in the Weasley family, and the number of locks on Mad-Eye Moody's trunk, to name a few. 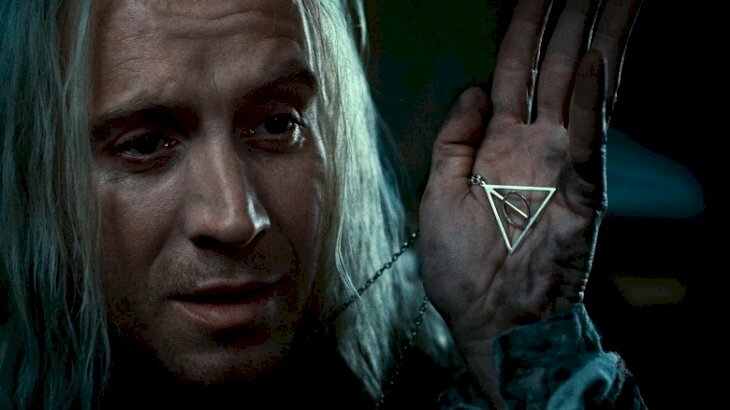 Speaking of visual iconography, the movies also made a point of flashing the sign of the Deathly Hallows during crucial scenes as well. For example, in Harry Potter and the Goblet of Fire, long before we'd ever find out about the Peverell siblings' story, Dumbledore looks upon his collection of artifacts in his office, and they're organized in such a way as to give a hint to the triangle-circle-line symbol that would represent the Cloak of Invisibility, the Resurrection Stone, and the Elder Wand later on in the story. Another example is in Harry Potter and the Deathly Hallows: Part 2, when Harry, dressed about Dobby's death, looks in the shard of a mirror the house elf had in his possession. The lens of his glasses and a streak of glare form the same symbol for a split second as well, obviously reminding him of his mission to destroy Voldemort's Horcruxes. These have been scattered throughout the film series in small moments such as these. 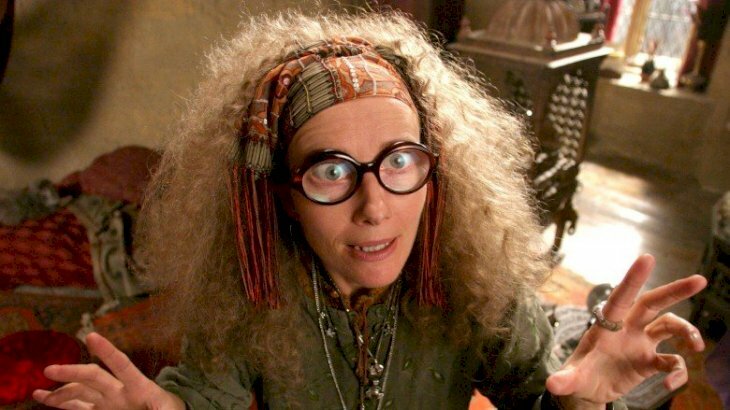 Hermione Granger didn't care much for Divination, but Professor Trelawney's predictions did turn out to be surprisingly accurate, even when she seemed her wackiest. 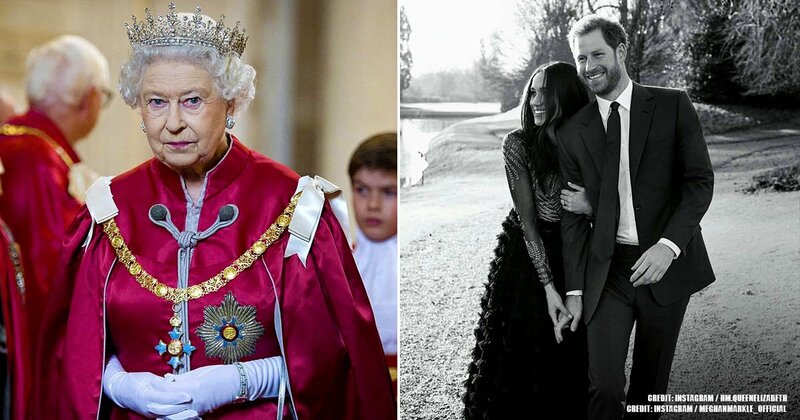 The one that most people point to as discreet in hindsight is when she refused a dinner invitation in Harry Potter and the Prisoner of Azkaban because 12 people were already seated and 13 is unlucky. The theory states that the first person to rise from a table of 13 would be the first to die, and, as fate would have it, Sirius Black stood first from a table of such number in Harry Potter and the Order of the Phoenix. And yes, he was the first to die. She insisted that the Dark Lord would mark them and those who have defied him three times, born as the seventh month, will die. That's rather specific! 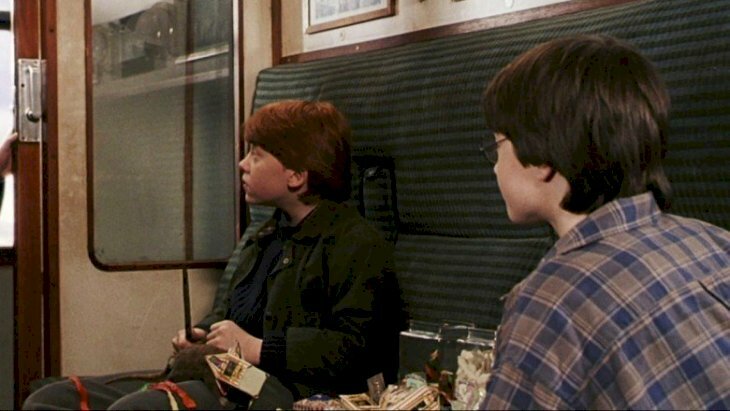 There's a subtle hint in Harry's first journey on the Hogwarts Express that was contained in the very last scene of Harry Potter and the Deathly Hallows: Part 2. During his first ride, when he initially became friends with Ron Weasley, he'd used his new pocket full of galleons to buy all of the treats on the trolley, and he and Ron rammed their faces with all the enchanted goodies they could stomach. One of the chocolate frogs, however, got away and hopped through the window, which wasn't really much of a problem for Ron, since he was more engrossed in collecting the character cards that came with them anyway. In the final film, as Harry and Ginny's children board the same train with Ron and Hermione's kids, the chocolate frog returns to the window as a hint to the start of a new story. 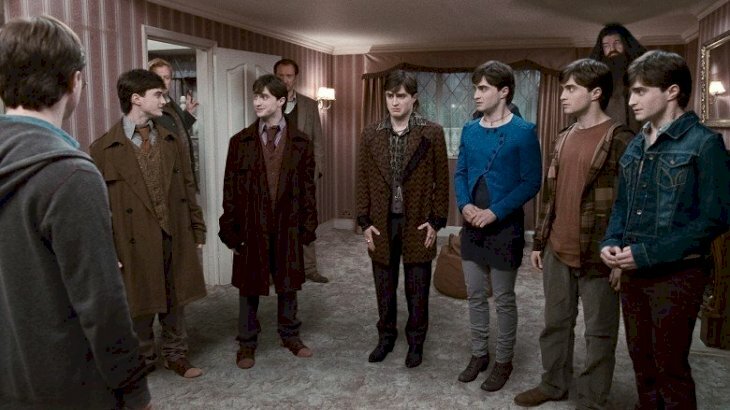 In Harry Potter and the Order of the Phoenix, Harry is called to the Ministry of Magic to have a disciplinary hearing before the Wizengamot after producing his Patronus to save himself and cousin Dudley from a Dementor while in the Muggle realm. Mr. Weasley accompanies Harry to the hearing and takes him into a telephone box to get access to the Ministry. He reveals the number he's dialing to get through: 6-2-4-4-2. On a conventional telephone like that one, the letters would be arranged on the keypad as well, and those digits just so happen to spell "M-A-G-I-C." Now, that was surely a coincidence. The addition to the Harry Potter series, when the films were released, they were unmistakably a pleasant addition to the J.K Rowling universe. The introductory music has been titled "Hedwig's Theme", but the character who actually played the music during the movie was Hagrid. Wow! Did you know that? In Harry Potter and the Sorcerer's Stone, he plays the melody on his flute as Harry, Ron, and Hermione all dash up to him for crucial information on their latest investigations around the school grounds. 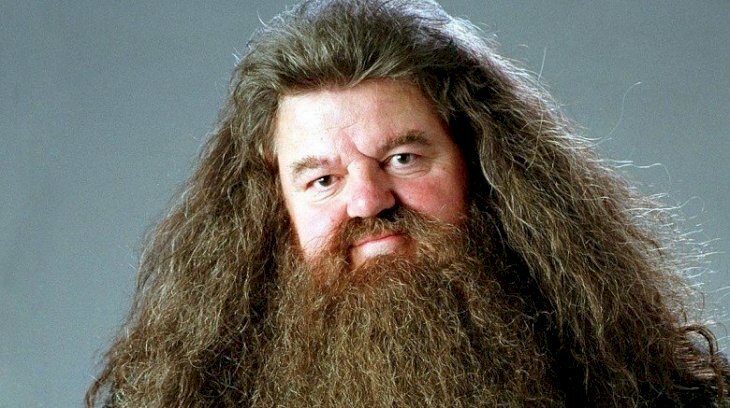 We think it should have been renamed "Hagrid's Theme" instead, don't you agree? There's a scene in Harry Potter and the Order of the Phoenix when Harry, Ron, and Hermione pop out of the temporarily authoritarian-ruled Hogwarts to formulate Dumbledore's Army at Hogsmeade. When they wander into the Hog's Head, a local bar, for some secret preparation, they find that there's only a bartender lurking in the dark, and he's got a goat. Yes, this can only be J.K.
Rowling's most trusted DA members would have acknowledged that this was an early glimpse of Albus Dumbledore's brother, Aberforth, who was obsessed with goats and owned a bar. 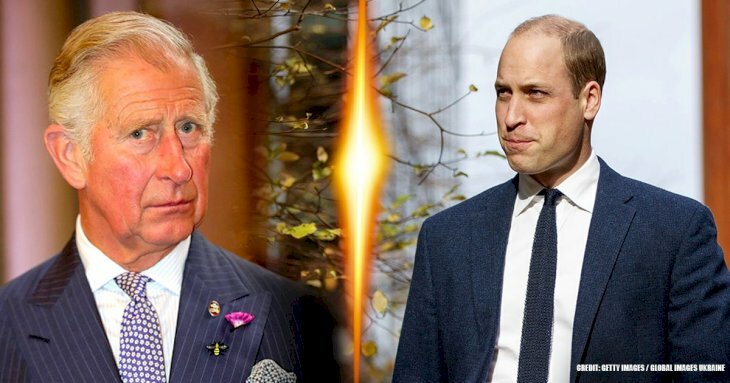 That very establishment would later come into play in Harry Potter and the Deathly Hallows: Part 2 when the trio tries to creep back into Hogwarts during another disturbing Headmaster switch moment, and this time, with Aberforth arriving to assist. 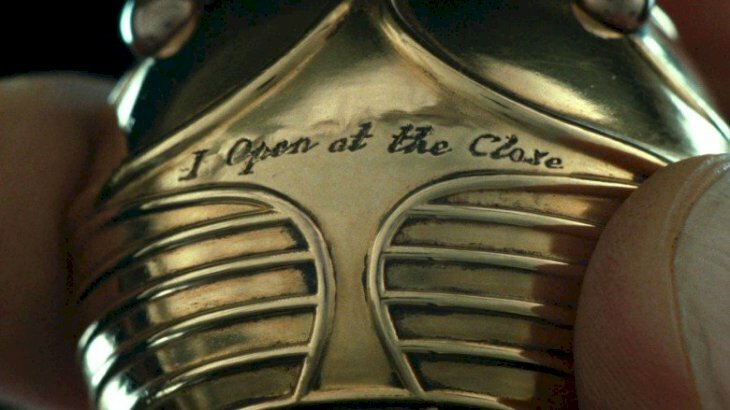 There's a lot that can be read into the Snitch's inscription that so famously read "I open at the close". The most obvious interpretation is that, when Harry kisses it in Deathly Hallows, it opens itself up to present him with the Resurrection Stone so he can have a smooth talk with his long-lost loved ones before surrendering himself to Voldemort to fulfill his part of the prophecy. In the first book, when he started this journey, it said it opened at the close. Simple enough, you'd think, right? What really gets those eyebrows raising, though, is the fact that Rowling published the first book back in 1997, when the events of Deathly Hallows took place in her timeline. So, it's also a statement that signifies the entire franchise as a whole. It literally opens at the close. 2. 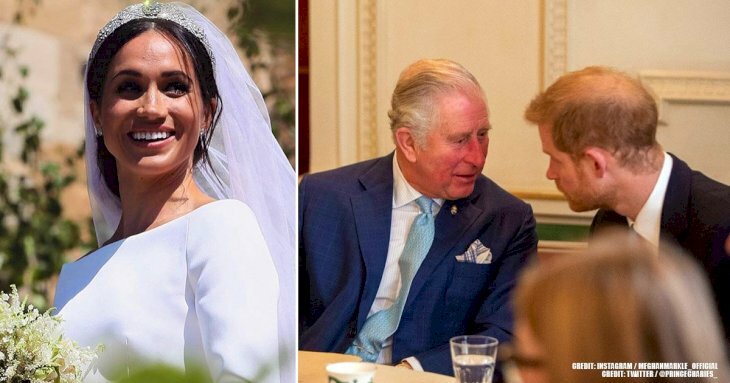 Is this all in Harry's head? One of the harshest fan theories associated with the Harry Potter books and films is the idea that everything magical about Harry's life outside of 4 Privet Drive was a fiction of his imagination. The idea is that Harry, who was an abused orphan who never knew his parents, was made to live in the closet under the stairs by his wicked aunt and uncle, created this fictional reality as a coping mechanism for his circumstances. And in Harry Potter and the Deathly Hallows: Part 2, there's a quick hint to an acknowledgment of being a possibility. 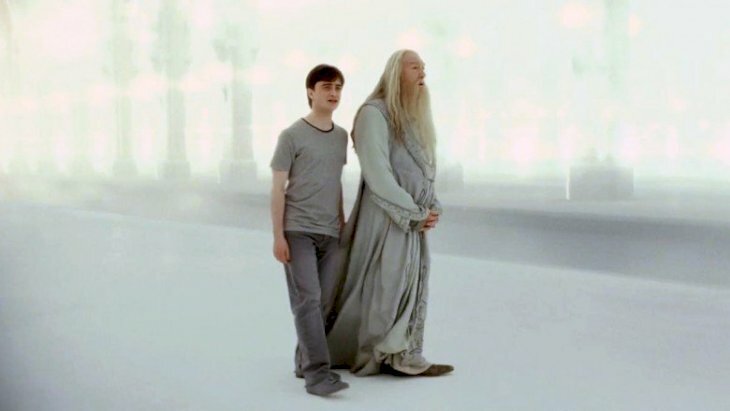 After Harry has died by Voldemort's wand and wakes up in a surreal vision of King's Cross Station, he meets with Dumbledore who gives him the option to stay in the living realm or go onto the beyond. Harry asks Dumbledore if this is all in his head, and Dumbledore answers in the affirmative say it doesn't make it any less real. Hmmm, now what do you think about that? When it comes to Hermione, many had conflicting issues and finally, J.K Rowling came out and confirmed this one specific theory to be correct. While we can all pronounce her name these days, before 2000, it was not exactly common knowledge. One Twitter user stated that Rowling included a passage in her books on how to actually pronounce Hermione's name. You can find it in her fourth book, Harry Potter and the Goblet of Fire. We all pronounced it like Viktor Krum, "Her-my-own", and although it seemed rather odd that such an intelligent young lady would have relations with someone like Viktor, the theory went round that there was a double meaning to it all and was in fact, a guide on how to pronounce her name. We hope you enjoyed reading this insider information and didn't get too confused? There were undoubtedly many clues along the way throughout the series for us to pick up. Remember to share this with your friends and family and keep up-to-date with us for more unraveled theories that the fans love to talk about amongst themselves.